Getting into the contracting business can be a great experience, especially when you consider the freedom you’ll have over your schedule and even the customers you decide to take on. In most states, however, there is very little freedom when it comes to the types of insurance you must have in order to be licensed. It’s not difficult although and can be confusing if you’re not familiar with the various insurance products that your business should have. Most new contractors understand the requirement for workers compensation but typically are not familiar enough with it to make informed decisions when it comes to companies and coverages. This workers’ comp checklist should get you pointed in the right direction so that your premiums are manageable and allow you to compete in the bidding process. Is workers’ comp mandated in the state you are going to work in? Although every contractor should carry workers compensation insurance, it may not be mandatory in your state until you have at least one employee. Always check with your state’s licensing board and verify your insurance requirements and the mandatory limits of coverage. Most states have a website that you can visit to find out what is required to offer contractor services in your state. For example, if you will be operating in California you can visit the Contractors State License Board online and get your questions answered very quickly. Understand the difference between an “employee” and a “subcontractor”. This is important. An employee is a worker that you pay for services and they must be considered on your workers’ compensation application. An employee is NOT a subcontractor, and a subcontractor is NOT an employee. An employee gets a W-2 each year and a contractor gets a 1099. If you use subcontractors on the job site, you must require them to carry their own worker’s compensation insurance or your insurance company will charge you for their coverage. You will need to keep all subcontractors’ certificate on workers comp insurance on file so that you will have them available for your audit when it’s time to renew your worker’s comp policy. During the audit, your company auditor will review your tax return to verify if you’ve compensated a subcontractor. 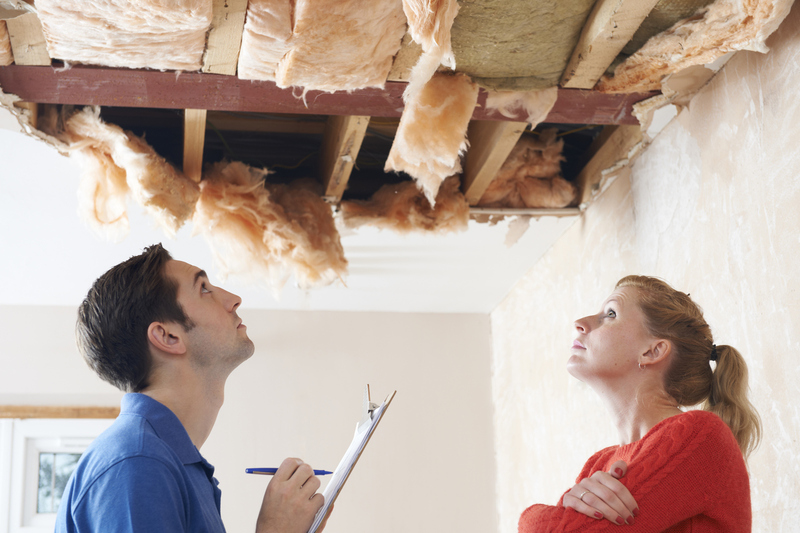 Unless you have a certificate of insurance for every contractor, your insurance company will charge you for their coverage based on the amount of money you paid them. This can be financially devastating if you don’t have the records for support. The classification of your business (the type of work you do). How much you pay each employee annually divided by $100. Simply put, each business class has an assigned rate of coverage. So then, if your business is primarily exterior painting, your insurer will multiply the class rate for exterior painting by the payroll of your painters (divided by $100) and arrive at the initial premium for your policy. Keep in mind that if you own a painting business and have a part-time or full-time office person, the rate class for the office person will be much lower than your painters. Knowing this, it’s important that you assign the correct classification to each employee. Use the most experienced independent insurance broker. The insurance broker you select to represent your business can make a world of difference on much you pay for your worker’s compensation. Choose an independent broker that specializes in contractors’ worker’s comp, not one that dabbles in it. Not only will they find you the best rates, they will complete your application properly and accurately so there are no surprises at your annual audit. Most experienced and reputable workers comp brokers will also offer the other types of insurance your business will need like general liability, surety bonds, equipment coverage and commercial auto insurance. For more information and expert advice about workers’ compensation insurance and any other type of insurance for new or experienced contractors, call the experts at Fairbanks Insurance Brokers at (949) 595-0284 during normal business hours, or contact us through our website at your earliest convenience.